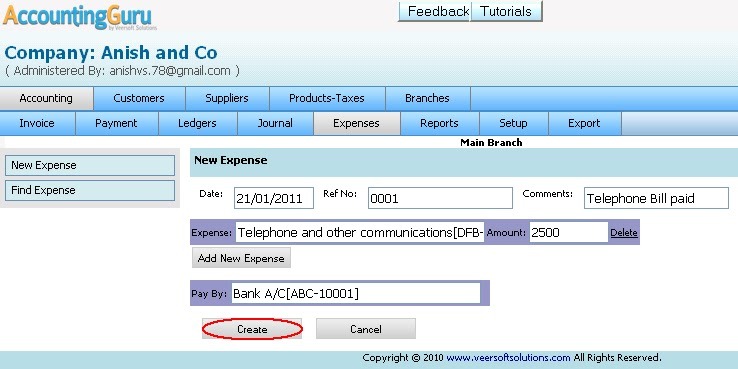 Making "Expenses" is described in this page. Anish wants to create the Expenses. Let's see how to create Expenses. The following screen appears when clicked on "New Expense"